Candela Taco Bar looks on the inside like the small bar that would be attached at one end of a large old-timey Mexican restaurant of the margarita-serving El Cholo or Don Somebody school. 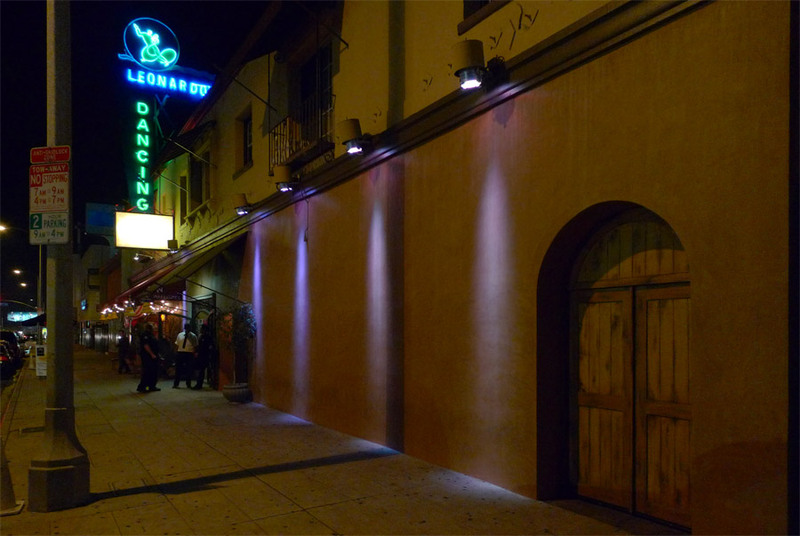 Instead it’s attached to the awesome, weird and old-timey Leonardo’s Dance Hall. Tonight was Salsa Night, and a very few people were enjoying salsa lessons in the big space. But Carmen, Mike and I were enjoying tacos and giant goblets of beer in the small bar. After a couple 22-ounce goblets of Candela’s hefeweizen-style house beer and a shitload of tricolored tortilla chips, you might not care much about the quality of your tacos. 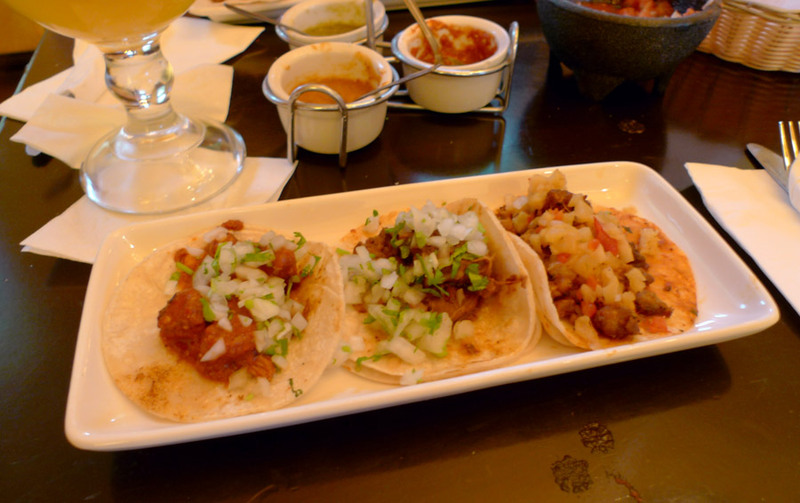 Going to Candela is like multitasking – rather than go to a bar and stop for tacos afterwards, you can sit there at the bar, enjoying goblets of beer, and then eat tacos at the same time. Such efficiency. For $2 each, they aren’t bad. Average in size and above average in tastiness, with serviceable doubled tortillas that performed. And on Wednesday, Taco Wednesday, they are $1 each. That is a bargain. It’s a loss leader to get you to drink beer! I had four of their tacos, the Chile Colorado, the Carne Asada (described as skirt steak), the Barbacoa (beef) and the Al Pastor. Chile colorado was first. It did look pretty awesomely red in the dim light, and the big chunks of beef were pleasing and flavorful. Barbacoa was not too distinctive, although I enjoyed it at the time. Al pastor was pleasing, being particularly pineapple-laden. Heavenly heavenly piña – the gorgeous taste, imposing as a southern island king crowned in glory, is yours to enjoy. Carne asada struck me as decent but overly salty, although Carmen did not find them so salty. Mike upon consideration pronounced the tacos to be in the 65th percentile. This level of specificity is convincing.